1) Infrastructural development: the development oriented Minister of Works, Hon. 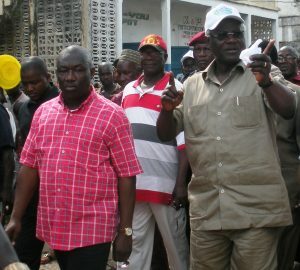 Alimamy P. Koroma, who acquired his Masters degree from one of the sophisticated universities in Germany and later headed the Council of Churches in Sierra Leone (CCSL), is scoring high marks for President Koroma with the road reconstruction and rehabilitation projects he is implementing. Though the general public seemed to know little or nothing about the source of funding, be it grant or loan, most Sierra Leoneans including myself are proud of the Congo Cross –Lumley, Lumley-Wilberforce – Grafton, Mile Siaka –Mile 91 – Moyamaba junction roads construction projects. Also, road rehabilitation projects in the East and Southern provincial headquarter towns of Kenema and Bo is something to write home about. The rehabilitation of Mahei Boima and Dambala Roads in Bo, Simaila Street, Kombema Road, Kingsway Street in Kenema are positive developments in those parts of the country. Since I was born and breastfed in Kenema, I can’t recall any time in history when such dreams became a reality. The one and only tarred road in the whole town was Blama road which is also called Hangha road after the clock tower. The Kenema – Kailahun road via Shegbwema and Pendembu is also in progress though majority of the direct beneficiaries believed that the project was initiated by the erstwhile SLPP administration. What is clear however is that most of the youths interviewed by Critique Echo say they will consider those roads and streets during the poll. 2) Tribal politics might rock the boat: President Koroma still remain poplar in the North-West block but the tribal initiative taken by the current Minister of Trade, Dr. Richard Conteh, which brings the Loko and Limba tribes under one roof excluding the rest, is doing more harm than good to President Koroma’s second term ambition. 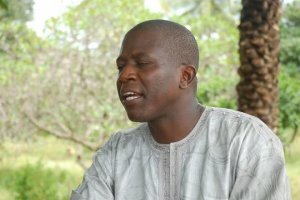 Dr. Richard whose only new idea of governance is the introduction of the metric system which forced engine users to buy fuel per liter instead of gallon, and under whose supervision the cost of fuel is skyrocketing with queues (toline) in fueling stations all over the country, might rock President Koroma’s boat if unchecked. 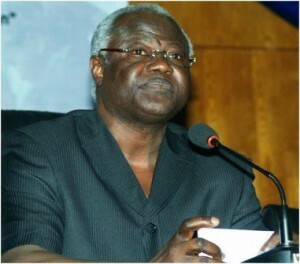 Saturday, 31st March this year was labeled Loko declaration day for President Koroma. Many Loko’s in the Freetown Western Area, led by Dr. Richard Conteh and cohorts, gathered at Youyi Building compound to declare their support for President Koroma, a man that is orally disassociating himself with tribalism and regional segregation. Dr. Richard Conteh, a known Loko man who acquired his PhD in Germany, had been living at the disporal for years and has no political basement in Sierra Leone. So the easiest way he can create one is by basing his campaign on tribal lines so that he can be able to secure a share of the already divided voter population. This development is not going down well with the typical Theme man and woman who earlier perceived the President to be his/her own Makeni brother. Some of them might not vote Maada Bio due to obvious reasons but they can do so for Kadie Sesay’s sake. 3) Transport and Aviation Ministry is on the right track: every patriotic citizen flying in or out of the country can now smile while looking at the way the Lungi airport has been rehabilitated. Lungi is not only comparable now to that of the Gambia’s airport, it’s also equipped with modern luggage checking technology. In addition to that, even though poor citizens are still queuing for public transports, there seemed to be a lot of buses plying diverse destinations including provincial headquarter towns. The only negative thing about those buses is that they are overcrowded with seats which make them uncomfortable for long distance travelers. I boarded them quite a few times during my stay in the country and they seemed to serve the purpose. 4) The banking system: cash is not flowing in the country as usual. There is acute shortage of cash at the central bank. Critique Echo saw the anguished face of a disappointed contractor after the Sierra Leone Commercial Bank turned down a twelve million Leones check issued to him by a customer. We all know that banking system is said to be functional when debit and credit transactions are progressing. So is it not logical to conclude that shortage of cash at the bank means debit has exceeded credit? It must be noted that the central bank printed a huge bulk of new bills not long ago; one would like to know who is keeping all of it? Are business people storing their daily returns at home? This clearly shows that the general public has lost confidence in the country’s banking system. Otherwise, the central government might be spending money misguidedly. 5) The professor doesn’t seem properly replaced: President Koroma sacked Professor Ogulande Davidson early this year as Minister of Energy and Water Resources. His successor, Oluniyi Robin-Coker was received with mammoth joy by many city dwellers as they expected him to be more dynamic and hardworking than the old professor. However, the constant blackouts and shortage of water in many homes and offices in the city at the moment seemed to remind most Freetowneans about the old professor. “Water and electricity supplies in this area was far better five months ago”, said a school teacher while giving out a Le 2000 bill to his daughter to buy a candle from the nearest shops. “Ogulande Davidson was far better”, he stated verbally. It must be recalled that since President Koroma was elected in the year 2007, one of his major political challenges was, and still is, the provision of electricity for the Freetowneans who possess the game-changing charm of the country’s political drama. Unfortunately, none of the Ministers appointed to head that very important Ministry seemed to have worked to the expectations of President Koroma and the Freetowneans. Certainly, electricity and water are very influential in the life of the average city dweller. 6) Youth unemployment is dangerous: while some youths jubilate in red T-Shirts, others were still hanging around crying hardship due to lack of gainful engagement. Many says had it not because of the illegal car washing center at Youyi Building in Freetown and commercial bike riding (Okada) in cities across the country, they should have resorted to armed robbery by now. Despite the establishment of the so called National Youth Commission with billions worth of promises, majority of the Sierra Leonean youths still remain jobless and that can reflect on polling result in any part of the world. 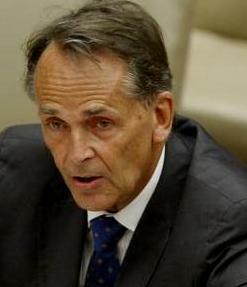 7) Diplomatic blunder: the expulsion of the United Nations Secretary General’s envoy to Sierra Leone, Mr. Michael von der Schulenburg, using a myopic method was diplomatic blunder number one of the year 2012. The way and manner it was done, particularly the aiding of UDM leader Mohamed Bangura to access the United Nations General Assembly using false designation was flabbergastable. When and where did the outspoken German diplomat went wrong? In addition to that, it was an open slap in the face of the German government owing to the fact that the diplomat is a German. It must be recalled that regardless the hue and cry from the SLPP camp about votes invalidated during the 2007 elections, the German government was the only member of the European Community that went ahead to award the Electoral Commissioner Christiana Thorpe for the job she did. According to sources close to the German Foreign Ministry, a diplomatically warded letter has been already addressed to the Sierra Leone embassy in Germany urging the government to explain what was the rationale behind Schulenburg’s expulsion. This development has sent a bad signal to the western world about President Koroma’s administration which chiefly depends on western aids prominent among which include the German taxpayers’. Musa Tarawally, is it not too difficult to explain how to control civil riots with hand grenades and live bullets? 8) Political blunder: the surreptitious importation of arms and munitions into a country that the United Nation declared armed-free few years ago, where political violence and fracas are occurring very frequently – a situation that is worrying the international community, most importantly, few months ahead of presidential and parliamentary elections, was the biggest political blunder of the year. This development, compounded with the Schulenburg’s issue, has sent a red signal to the western world that they should expect anything as outcome of the forthcoming elections. If the Internal Affairs Minister Musa Tarawally wanted to put in place anti-riot measures, why not import teargas and water pumps? Is it not too difficult to explain how to control civil riots with hand grenades and live bullets? Incidentally, the same Musa Tarawally had been a culprit to electoral violence in some parts of the South where he previously served as Resident Minister. the timbergate saga which implicated the Vice President late last year had caused more damage to the ruling party than the average man might think. 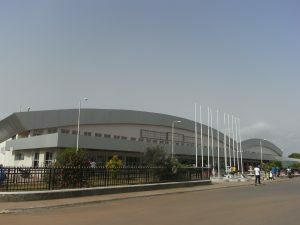 Regardless the rescue efforts applied by some local media outlets who tried to undo the damage by challenging some facts in the footage, the Aljazeera documentary went across the world and its effect has sandwiched President Koroma between two extremes: the Kono people and the international community. If he replaces Sam Sumana, the Kono community will react badly and if he retain him, the international community will question his commitment to fight corruption. Also, the mammoth welcome accorded Maada Bio by the Kono community few weeks ago was a glaring signal to President Koroma that they (the Kono people) are more flexible in politics than the Germans. They wanted him to know that they have the game-changing magic that can affect polling returns of the entire eastern block and that they can vote Bio, if deemed fit. 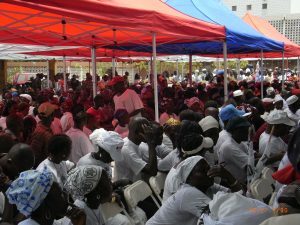 10) Impact of the free health care project: President Koroma’s free health care project will likely win him some votes even in the opposition strongholds. Regardless the flaws and irregularities in the delivery process, some lactating mothers and pregnant women are still receiving few tablets which gave them a good reason to vote APC. Thank you very much Mr. Othman Sheriff for your analysis of the Sierra Leonean political scene. It was short, precise and also very objective. Let me conclude by wishing a coalition government between APC and SLPP for Sierra Leone and President Koroma retaining his position and Maada Bio his Vice President. What a beautiful day for our country and the development pace will be very, very fast. I hope that my dream will come through come the 17th November. Being in the diaspora and reading your apt analysis, I have the feeling that a lot of our people are relying on infrastructure as a major achievement. We the people of Sierra :Leone elect a govt to promote physical and social development. The central idea I want to address here is the mantra on which the President came into power….."the eradication of corruption" and if after winning the election…it has been apparent that the President has failed miserably to address the issue of corruption…then permit me to suggest that he has failed to keep his promise to the people of Salone. 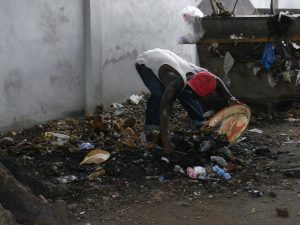 There is an emerging situation in Sierra Leone that needs urgent attention….where the poor of Sierra Leone are living in conditions deplorable and inhuman…..all due to public policies having miserably failed. Referring the flag bearer's past is only for one reason….and that is to cause a divide among the innocent people who are being fed with inofrmation that cannot be substantiated. 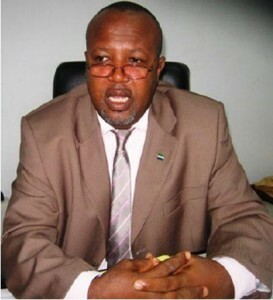 Maada Bio is a man that has Sierra Leone at heart and has no intention to run Sierra Leone as a business…that proposition in itself is a travesty on the understanding that business can flop so has Sierra Leone come to this very difficult realisation of flopping in all areas of social development. The people of Sierra Leone should demand that competent people are put into a job in which they can do well… and are committed…. and corrupt free….not on any other ground…..where this has not been the criteria for employment in the govt….everything seems to be collapsing due to mismanagement and incompetency. May I also draw your attention to a leadership that fails simply because key players are reluctant to cooperate with their leader…..this indeed is a difficult situation to grapple with… but came about because…. the leader is exercisng power…. relying on his misguided instinct to choose a team not based on professional qualification and experience. Let the people of Sierra Leone express thier dissatisfaction through thier civic right to vote in a free and fair election with a clear decision not influenced by infrastructure or bribery!!!!!!!!!!!!!! !.